Demian Dinéyazhi´began writing his ekphrastic long-form prose poem “An Infected Sunset” in the wake of the Pulse nightclub shooting in Orlando in August 2016, police killings of unarmed Black men, and in the midst of the Standing Rock protests against the Dakota Access Pipeline, also known by the hashtag #NODAPL, and impelled by the election of Donald Trump as the 45th President of the United States. Victoria was one of Dinéyazhi´’s stops on his tour, and the AGGV hosted a full-house poetry evening opened by Victoria-based Ann-Bernice Thomas who enthralled the audience with their infectious readings. 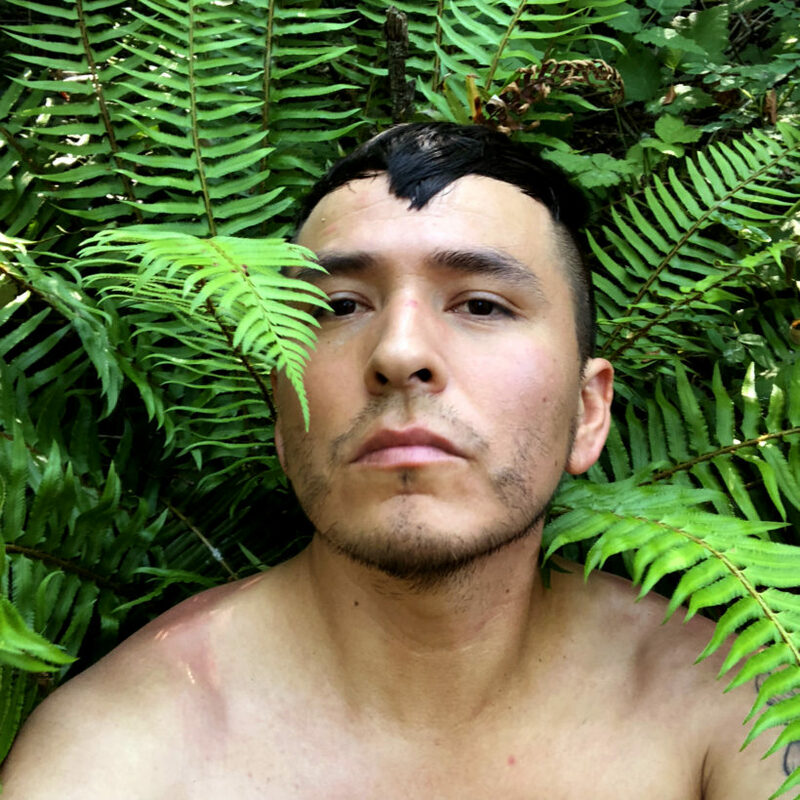 A multi-disciplinary artist based in Portland, Dinéyazhi´ is a Radical Indigenous Queer Feminist born to the clans Naasht’ézhí Tábąąhá (Zuni Clan Water’s Edge) and Tódích’íí’nii (Bitter Water). 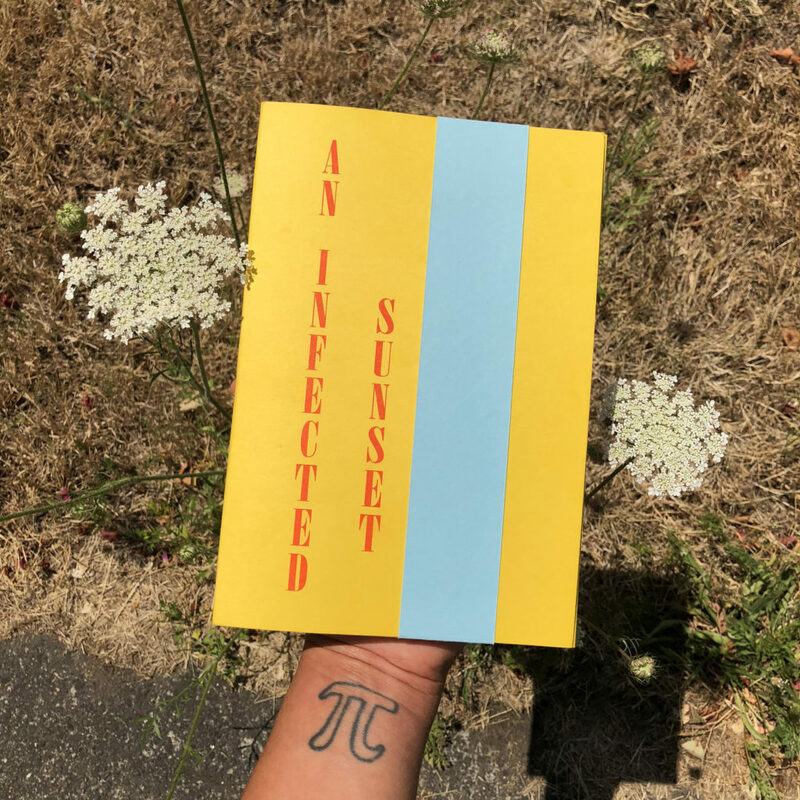 Their reading of the prose poem “An Infected Sunset” was at once powerful and vulnerable. As a long-form poem, it covered a lot of ground in the range of issues close to Dinéyazhi´’s heart – Indigenous identity, sexual identity, political and environmental injustices, white suprematism and race issues, family and traditions – intermingled with personal struggle, and their family’s history, including their grandfather’s job as a Code Talker. Their words were evocative and provocative, leaping from issue to issue, while considering the minutiae of specific experiences. Amidst the weighty topics are injections of wry humour, often self-deprecating, both of himself and of his generation. 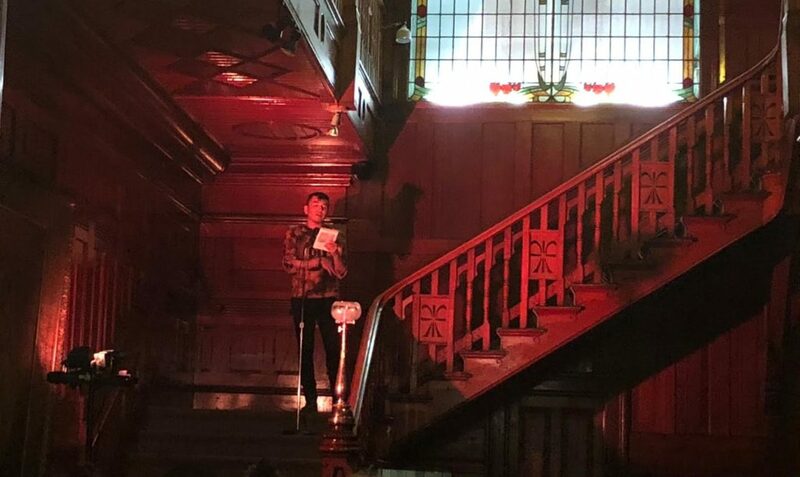 The reading of the poem was clear and unwavering. Yet, the power and force of the words flowed from anger to indignation to sadness to humour, making it an emotional ride.